item 3 China Glaze 2015 Summer Nail Polish Collection BRIGHTS, LIGHTS AND NEONS!! -China Glaze 2015 Summer Nail Polish Collection BRIGHTS, LIGHTS AND NEONS!! item 4 China Glaze Nail Polish BRIGHTS, LIGHTS, NEONS and PASTELS Perfect for SUMMER!! 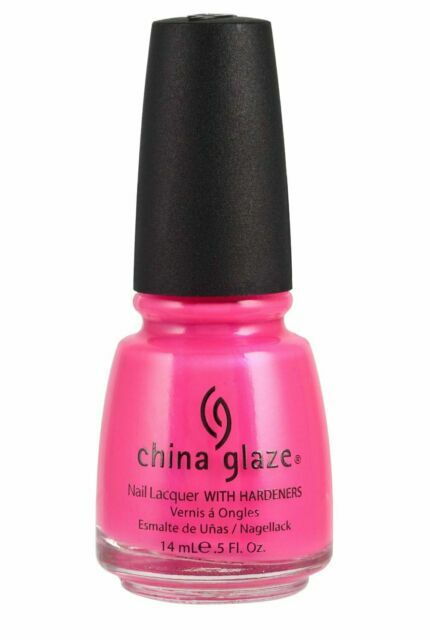 -China Glaze Nail Polish BRIGHTS, LIGHTS, NEONS and PASTELS Perfect for SUMMER!! item 6 China Glaze Nail Polish-All Colours Choice of Shades Cheap Free P&P to U.K. -China Glaze Nail Polish-All Colours Choice of Shades Cheap Free P&P to U.K. When looking at the photograph on EBay the polished nails look shiny and iridescent. On receipt of my China Glaze polish all was not as it seemed as it was a matte polish. Very disappointed indeed. Don’t waste your money on this, it looked terrible after applying professionally!